Meet Client Trish Crocker. As middle age approached, Trish had difficulty losing weight. She tried lots of programs, but nothing work. Her health continued to decline, and her doctor had no choice but to prescribe her High Blood Pressure medication. Trish knew that she had to do whatever it takes to get healthy! She heard about The Health Dare on the radio, and booked a free consultation. After spending an hour with one of the Health Dare Coaches, she decided to enroll in one of the health and wellness coaching programs. Trish was so excited about all she was learning at The Health Dare. She had a blast cooking, shopping, and coaching with her team. Not only did she enjoy the easy program and community of accountability, but she was blown away at her results. Trish lost 75.5 inches, and no longer needed her High Blood Pressure medication! Her medication is now a thing of the past, and she has all the knowledge she needs to stay healthy for a lifetime. Her doctor was thrilled to take her off the medicine! 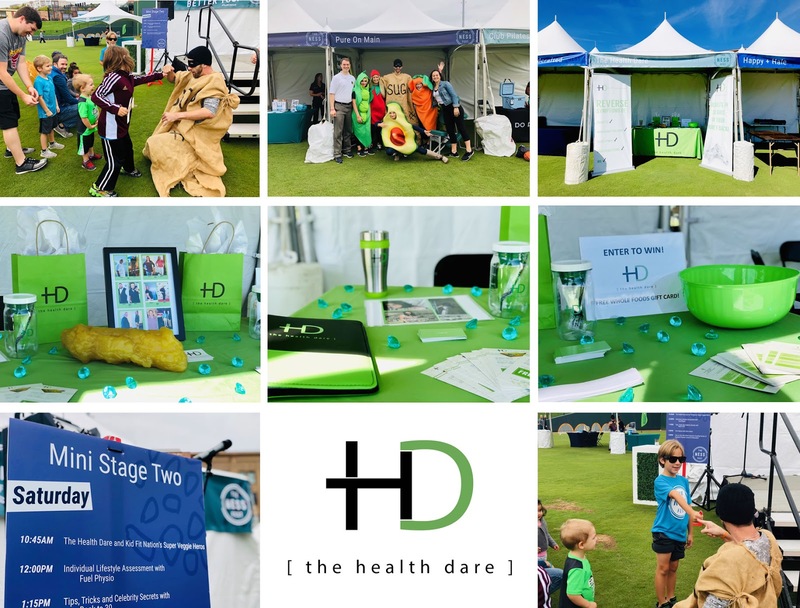 If you have high blood pressure, The Health Dare coaching team is standing by to give you a free health and hydration analysis. Are you ready to join Trish and thousands of other clients to transform your life? Let us help you reverse symptoms of Type II Diabetes , High Blood Pressure, High Cholesterol, Sleep Apnea, IBS, and Obesity. Schedule your FREE consultation with a Health Coach today! The Health Dare partnered with Greenville Health System Cancer Institute, Fluor Field, Pure on Main, The Blood Connection, and other health professionals to host a two-day health and wellness festival in Greenville, SC this weekend! 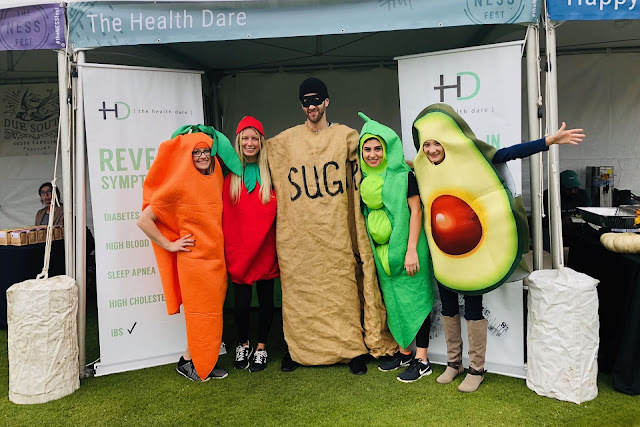 The Health Dare veggie heroes were a big hit when they appeared on stage with their choreographed song and dance presentation to encourage the children of Greenville to “eat their veggies,” and avoid the rotten Mr. Sugar! 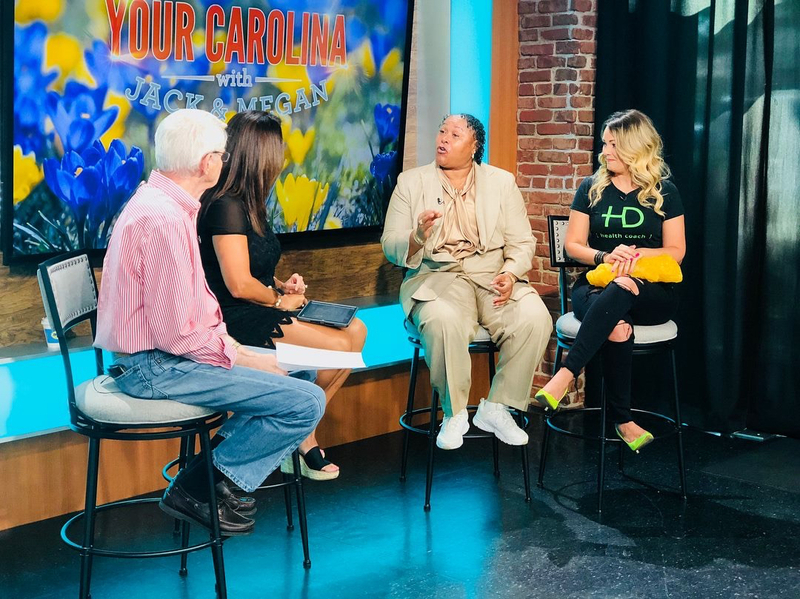 The Health Dare coaches in Greenville have led an effort in their city to unite local health professionals for one common goal: improving the health of their city. And they are succeeding. 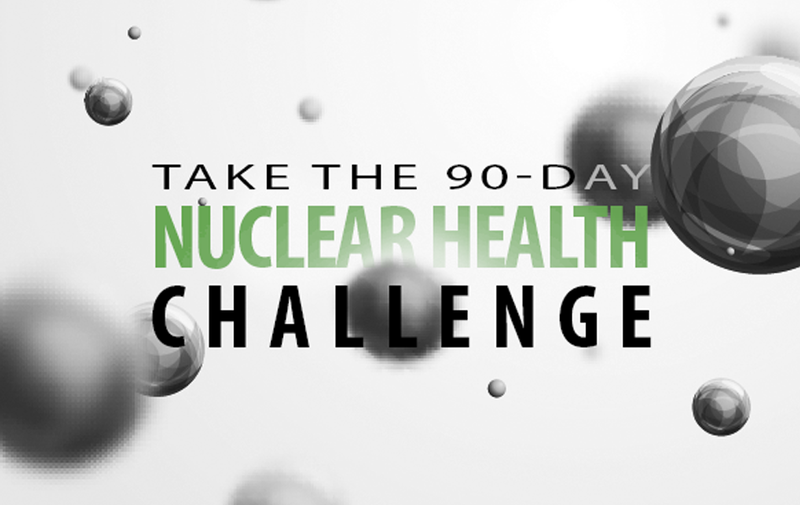 The Health Dare 90-day cellular health challenge is booming in Greenville with over an 80% success rate! Clients are seeing reduced symptoms of their Type II Diabetes, High Blood Pressure, High Cholesterol, Sleep Apnea and IBS in just a few short weeks! And clients are amazed at the ease of this program compared to others. 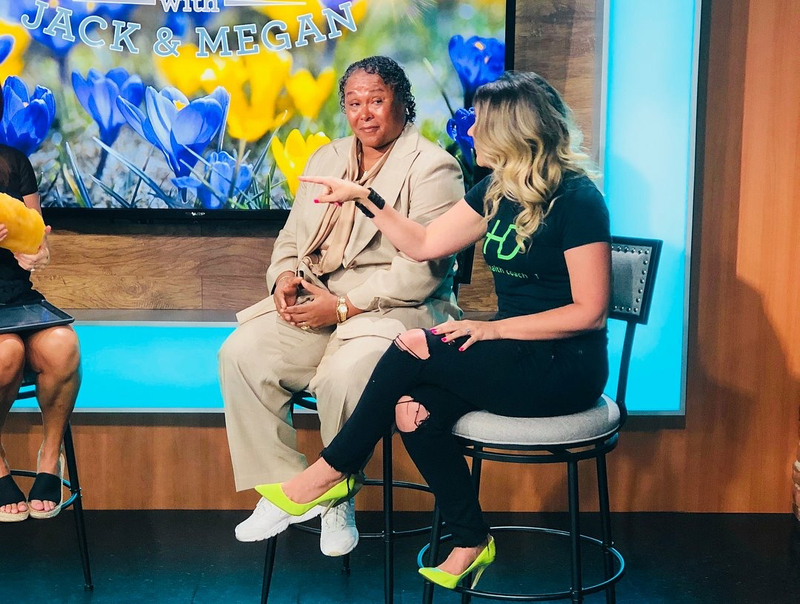 “There’s only two things you can’t have, and you can even have bread and fast food,” says Bridget Trammell, founder of the Health Dare. “Not everyone enjoys going to the gym, and millions of Americans struggle with obesity. We are the solution for the busy Moms, Dads, grandparents and business professionals who don’t have time or energy for a daily workout or a complicated diet plan. Like most people, I love to eat and hate to exercise, and I lost 80 lbs on The Health Dare!” The Health Dare Coaches don’t care what you look like, they care how you feel. Good health is much more than weight lifting competitions, looking good in a bikini, or strict dieting. Being healthy is being happy, and having the energy to enjoy your life and your family is paramount. 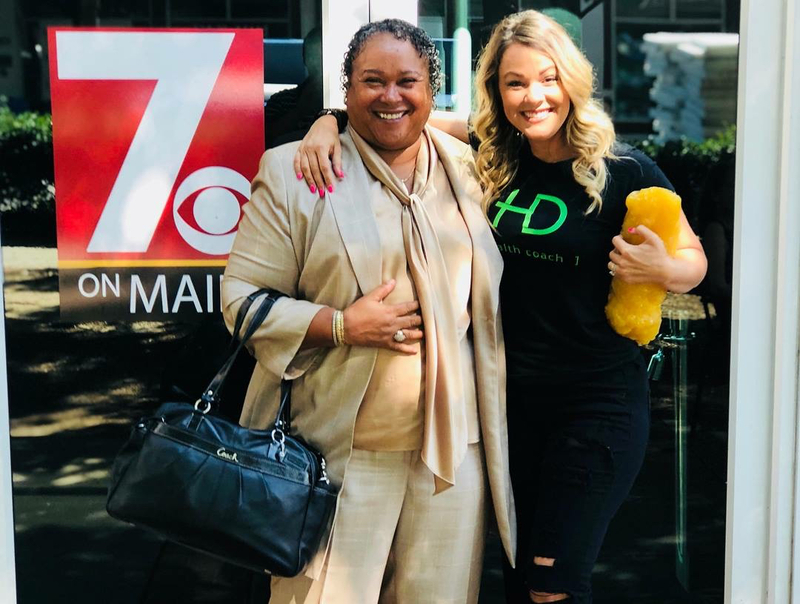 The Health Dare is planning to continue their partnership with local businesses to provide value to the communities where the Health Dare offices reside. The Health Dare believes that as a community, we can change our nation through preventative nutrition education, one healthy client at a time. To book a free consultation with a Health Dare Coach, call or click: 1-877-I Dare Me! Or, to book The Health Dare Veggie Cast for your school, go to www.KidFitNation.com! We dare you!